Waldegrave is delighted to have been named as Comprehensive School of the Year by the Sunday Times Parent Power supplement. This is due to our excellent A Level and GCSE results. 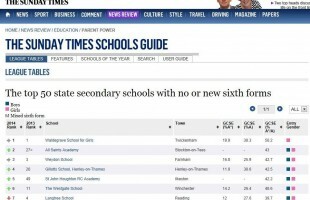 Waldegrave School tops Sunday Times parent power league table for the fifth year.